Wisconsin produces more than 600 varieties of cheese, and here are the people who do it! This is a story of farmers, milk cows, dairy barns, green pastures, and the cheese makers who work their magic and turn milk into cheese. So, you have cheese, and this book will tell you what kind it is and how to best enjoy it. Bakeries, meat markets, candy shops ... oh, and cheese! Find all the best here. The complete story of the family that built a beer empire, survived prohibition, and continues to intoxicate! Beer. Wisconsin. The two go hand in hand, right? 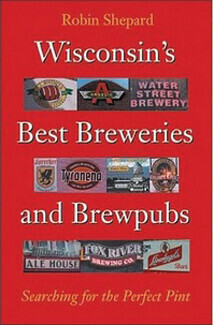 This book will tell you quite a bit about how Wisconsin came to be the nation’s brewing leader and how it continues to thrive. Detailed information on more than 60 breweries?! You bet, along with a taster’s chart you an use to record your own preferences! Award winning photographer Carl Corey brings you the feel of sitting down in a tavern and enjoying a drink with a friend, or just someone sitting down the bar. Book are available in The Local Store!